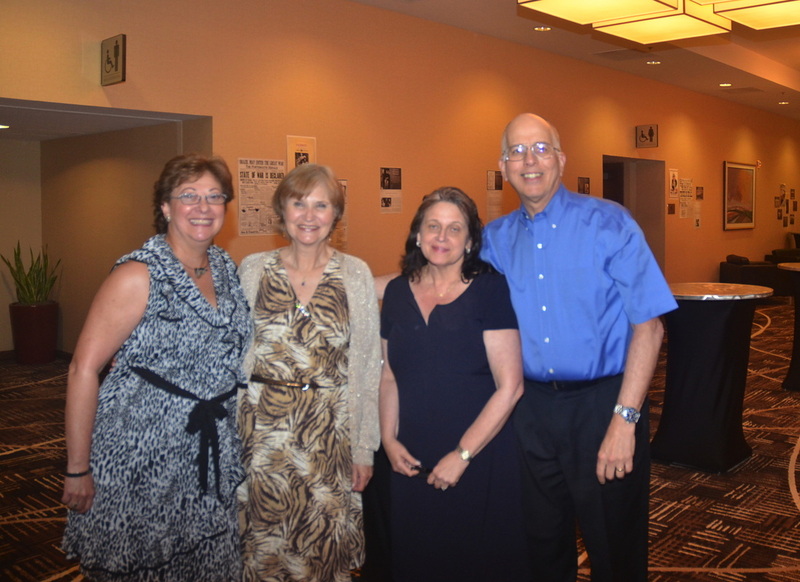 ﻿Our four JGSNJ members who attended the 34th IAJGS International Conference on Jewish Genealogy gather for a picture during the Thursday night banquet. From left to right: Susan Kobren, Vivianna Gros-Gluckman, Dina Greene, & her lovely husband, Elliot Greene. From left to right: Vivianna Gros-Gluckman, Susan Kobren, Bev Margolies, Judy Salomon. 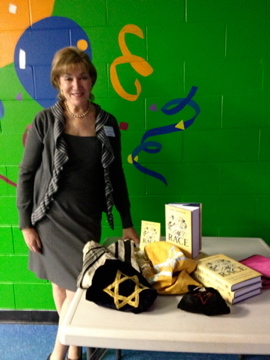 On March 17, 2013 Lorraine Lotzof Abramson shared her story of growing up in South Africa as an athlete during apartheid and also her journey to her grandparents' village. If you missed this wonderful presentation, you can read about her life journey in her book, My Race: A Jewish Girl Growing Up Under Apartheid in South Africa. Find more information on her web site, www.lorrainesbook.com. On Nov. 20, 2011 we took a trip to Ellis Island. 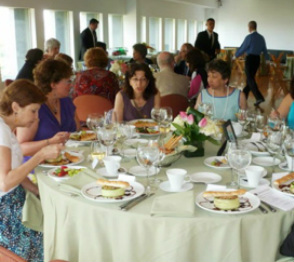 The JGS presented a genealogy exhibit at the Jewish Museum of New Jersey Oct.-Dec., 2011. 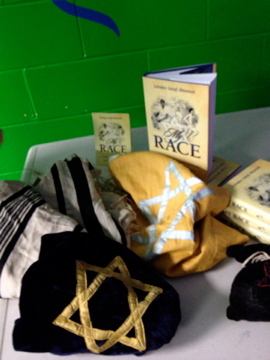 Photos taken at the museum at Temple Ahavas Sholom, Newark, NJ.